After the departure in autumn of 1974 of Jannick TOP and most of the other members of the band, MAGMA rose phoenix-like from the ashes with a new, hot, line-up which saw the musical opportunity lying before it. After long rehearsals Christian VANDER realised that he had yet another exceptional groupand the decision was taken to record the first MAGMA live album. 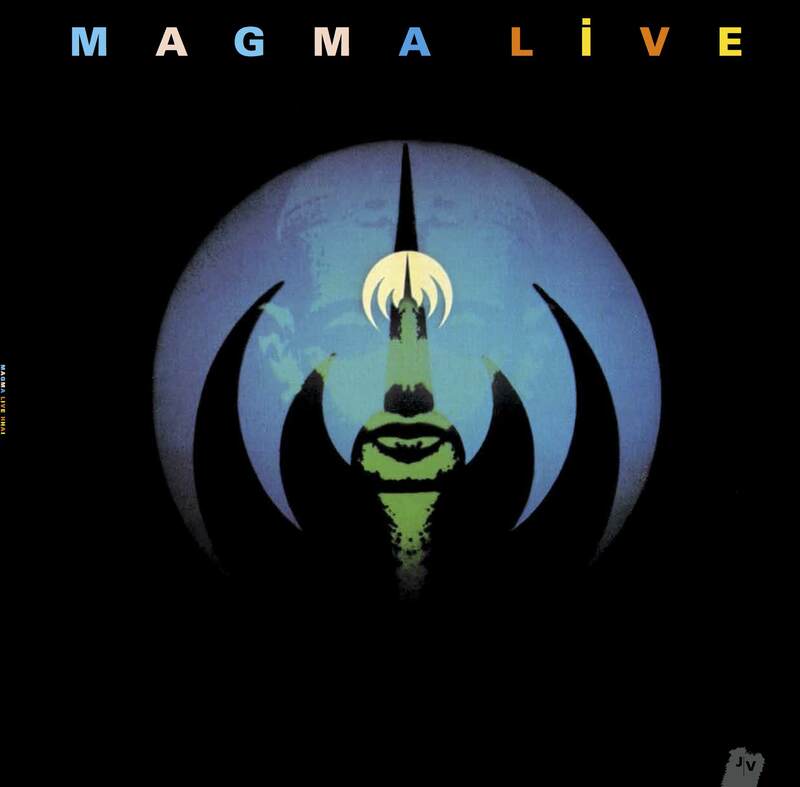 The recording, made in June 1975 at the Taverne de l’Olympia, perfectly demonstrates the incredible impact made by MAGMA. Absolutely dedicated to the music of Christian VANDER, who by that time had reached the summit of his art, the band plays as if it were one man and sweeps all before it in its triumphant passage. Whether it was a new arrangement of any of the old pieces (KOHNTARK, KOBAIA, MEKANIK) or a previously-unheard piece (HHAI, LIHNS), the sound of MAGMA has never been heard more powerfully as on this incredible recording. Although it remains difficult to point to any one performance as being outstanding, it would nevertheless be difficult not to react to the mind-blowing performance by Didier Lockwood, whose violin playing contributes so greatly to the profound originality of this magnificent double-album.